Offer your opinions and questions to help guide proposals that will be considered by the Board of Directors, which considers all public comments before voting on any proposal. The Associate Regional Councillor serves as the regional representative to the Membership and Professional Standards (MPSC) committee, and assists with region-wide communication of key information and input into policy development. Most Associate Councillors advance to become Regional Councillor and represent their region on the Board of Directors. Committee members serve two-and three-year terms and rely on their expertise and unique perspectives to advise the OPTN/UNOS Board of Directors regarding proposed policies and initiatives. Actively participate as an OPTN/UNOS fiduciary to help establish and oversee OPTN/UNOS policies, and participate in the development, prioritization and implementation of projects intended to further OPTN/UNOS strategic goals. Tell us why you’d like to volunteer as a committee member, board member, regional councillor or in another way. Become a UNOS Ambassador. Educate others about UNOS, organ donation and transplantation. 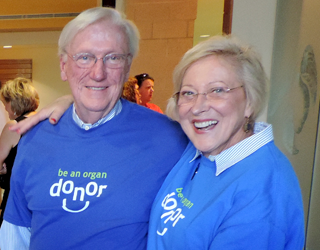 The UNOS Ambassador program provides tools, tips, and resources to help you spread awareness of United Network for Organ Sharing’s lifesaving mission in your community. Anyone can become a UNOS Ambassador.